The summer season is here, and your schedule is most likely already packed with all kinds of parties and plans. 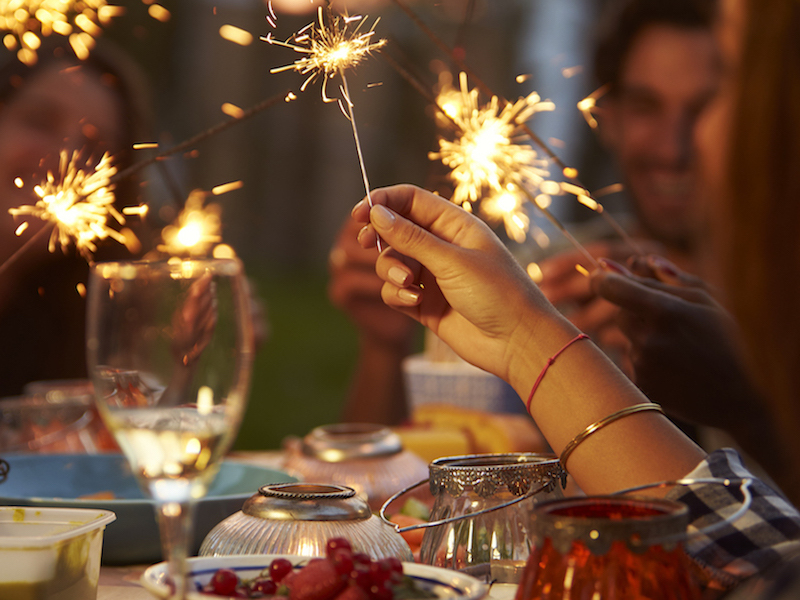 Being outside celebrating on Independence Day is something lots of people do. Parades, marching bands, and live music are often part of the fun, and don’t forget fireworks! When going out to have fun this holiday season, don’t pass up on the good times, just take a minute to consider how you should protect your hearing. Noise-induced hearing loss impacts nearly 6 percent of the U.S. adult populace below the age of 70; that equals around 40 million people. It’s unfortunate that this kind of hearing damage is virtually 100 percent preventable. It just takes a little planning and good sense. Give consideration to some reasons you need to take care of your ears as you enjoy yourself this season and the best ways of doing it. Boys Town National Research Hospital states you’re at risk of hearing loss from fireworks regardless if you’re shooting them off yourself or watching them at a public show. Noise-related hearing loss can begin at 85 decibels with repeated exposure. 150 to 175 decibels is the typical range of fireworks. Even though adults may tolerate up to 140 decibels for a short time, children can only take short periods at 120 decibels. This is according to the World Health Association. Fireworks are usually louder than both those numbers. The positive spin? The potential for hearing damage is exponentially lowered the further you are from the explosion. Watching the fireworks show from nearby is definitely more damaging than watching them from your porch at home. If you are an adult it is recommended that you stand at least 30 yards away. Children should be 70 yards away to take care of their hearing and babies shouldn’t be there at all. Crowds are the most underestimated hearing danger at celebrations. When the crowd is into the celebration everyone is talking and yelling loudly. The American Speech-Language-Hearing Association claims that crowd noise at sports games ranges between 80 to 90 decibels. Unfortunately, it will most likely be louder and more consistent at a celebration or parade. Try to take it easy. If the celebration is going to last all day and into the night, maybe start later. Always drink plenty of water and try to moderate your alcohol consumption. Finally, figure out where you can go to take the occasional break from the heat. Where is the nearest shade? Is there an air-conditioned building nearby? Celebrations come every year, but you only get one pair of ears. Do what you must to keep them safe while still enjoying the good times. If you are worried that you may have already suffered hearing damage it is important to schedule an appointment with a hearing care specialist.